Conor Oberst and The Mystic Valley Band opened for Wilco at Dutchess County Stadium last weekend and achieved an uncommon feat — the rapt attention of the majority of the crowd, which by the end of their set was “won over”. Its a difficult task to open for a band of such popularity and reverence, but Conor’s engaging stage presence and the outstanding play of the band members contributed to their success. The setlist consisted primarily of material from the band’s latest release Outer South and from Conor’s self-titled 2008 solo album, and was highlighted by the wild closing “I Don’t Want To Die (In the Hospital)”. We recorded from the identical location and equipment as the Wilco recording, so that the quality is absolutely superb. Enjoy! 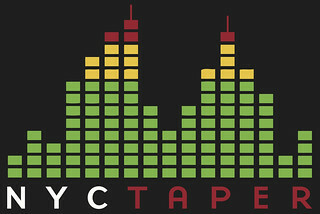 If you email nyctaper for access to this recording, we expect that you will PLEASE SUPPORT Conor Oberst and The Mystic Valley Band, visit their website, and purchase their official releases from the albums page at their site [here], or directly from our friends over at Merge Records [here].